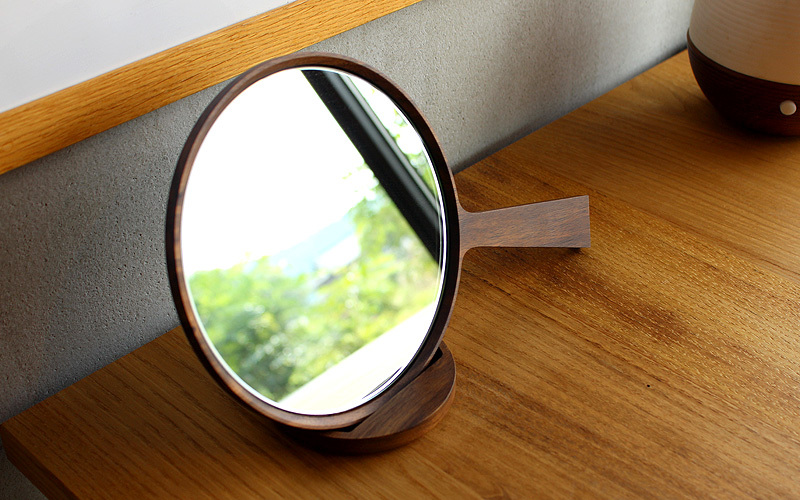 The use of natural material on this simple mirror adds your room a warm and comforting atmosphere. 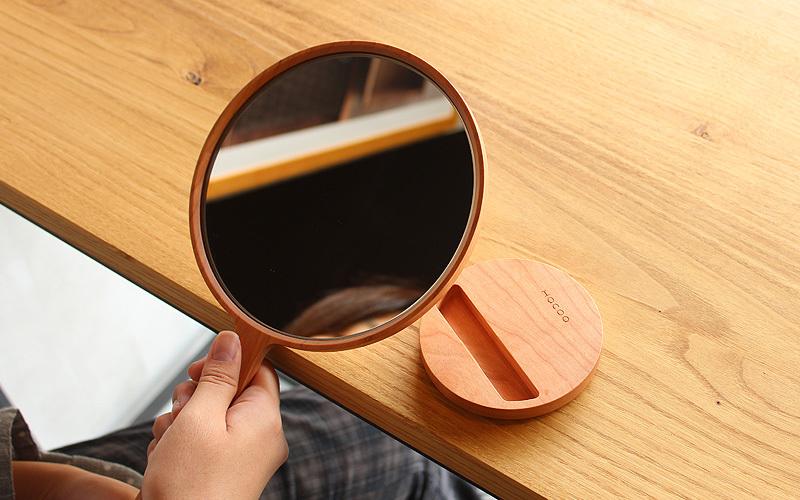 It can be used as a handheld mirror when separated from its stand. 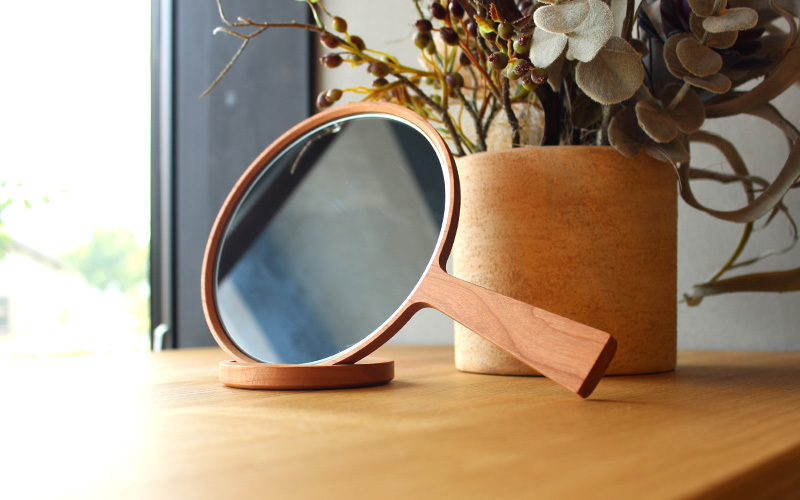 Enjoy smooth and soft touch of wood in your hand. You will notice rich texture and luster developed by daily use.